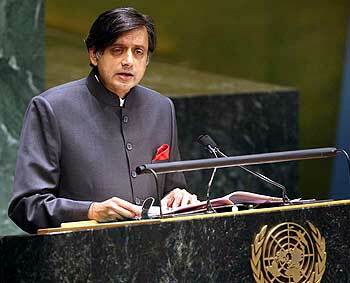 Minister of State for External Affairs, Shashi Tharoor, delivers his statement on the commemoration of the 15th aniversary of the International Conference on population and development at the 64th United Nations General Assembly in New York on October 12. 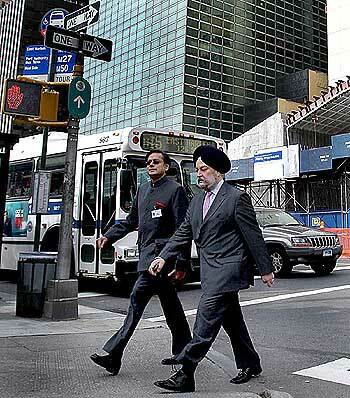 Tharoor and India's Permanent Representative to the UN Hardeep Singh Puri walk to the UN Secretariat in New York. 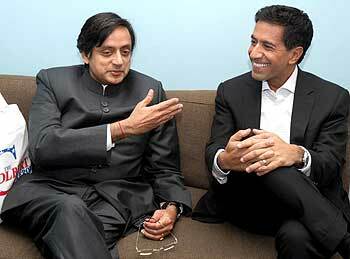 Tharoor with Dr Sanjay Gupta, a neurosurgeon and correspondent for CNN, at a studio in New York. Dr Gupta, who was considered for the prestigious position of the surgeon general of the United States in the Barack Obama administration, had withdrawn his name from consideration to spend more time with his family and to continue practicing neurosurgery. Tharoor with Vanda Guiomar Pignato, First Lady and Minister for Social Inclusion and Civil Society of El Salvador, during a bilateral meeting at the United Nations. 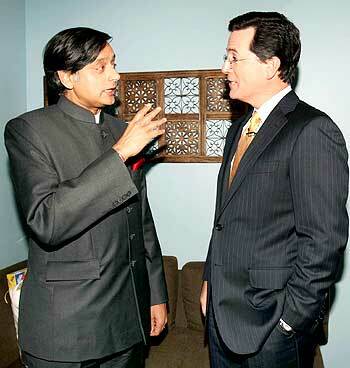 Tharoor interacts with Stephen Colbert, host of the CBS late night show The Colbert Report, prior to his appearance for the same at a studio in New York. 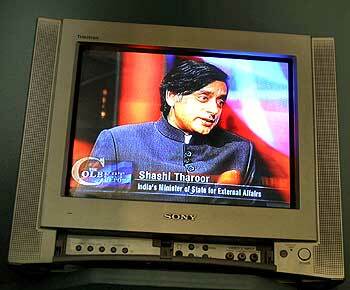 Tharoor appears on The Colbert Report show in New York. During the show, the former UN Under Secretary General said that United States President Barack Obama truly deserved the Nobel Prize, as he has given a lot of people hope around the world and has helped in improving the image of the US. "He has given us hope. They've given it to a person who has said that the America of today has its roots in the India of Gandhi and that's the kind of sentiment we like," he said.